This is the first post in a series I call, “Out and About in Connecticut”. As many of you may know, we recently moved from New York to Connecticut. One of the very best things about moving, at least for me, is getting to check out new restaurants and activities and I’ll be sharing some of our best finds here with you. One of the challenges of having a huge age gap between kids is finding activities that all will be happy at. For this reason, museums are usually at the top of my list but finding ones that will keep my 3 year old occupied can be a challenge. When I heard about the Discovery Museum it sounded like it checked all the boxes so our crew of five (my husband and myself and three of our five kids ages 19, 14 and 3) headed there on a recent Sunday morning. There are three floors to check out and a large space for eating (make sure to bring lunch if you plan on staying because they just have vending machines with snacks). When you first walk in, there’s an awesome light board called Everbright which was inspired by the classic toy, Lite-Brite (Ahhhh, memories! Yes, I had to order her one right away). We had to pry the 3 year old away from it; she was fascinated that she could change the colors. We continued into the Dare to Discover room where Daddy and Juliette had some fun together while my oldest got busy wiring a lamp. Even the 14 year old got off the bench when her sister dragged her over to see things float. Mama was happy that everyone had something to keep them occupied. The highlight was definitely the Get Physical room with the pulleys and levers where I captured my favorite picture of the day- a moment when all three girls were connecting, having fun, and creating a memory! We then headed over to the Adventure Science room. My little one was a bit too young to do most things independently but that didn’t stop her from exploring with the help of dad and her big sis. We then headed all the way down to the MoonBase Discovery area. There was a stimulator where you could drive a lunar rover and other very cool things but honestly my 3 year old’s highlight was driving the big yellow school bus and playing with legos! Other museum highlights include great art lining the walls, a planetarium which has three different age-appropriate show (check schedules for the day before going), and a Preschool Power area for infant to toddlers under 3. There isn’t a gift shop but they do have an area by the entrance/exit where you can by souvenirs. Overall it was great Sunday morning spent at The Discovery Museum! Friday Favs- a spot where I share my favorite products, apps, sites, articles, and moments from the week. A fun new Cuban restaurant in Garden City with live entertainment – food was good, drinks were better, entertainment was best! The most delicious ice cream I’ve ever had. SERIOUSLY. If you’re near Barclays, you must check it out! After I enjoyed the ice cream above, I decided to kick spring off with a week of clean eating. I used to do this every month but fell out of that practice a few years ago. It’s a great way to to get back on track. Here is a great reference on meal prepping which helps A LOT. I also made this healthy dinner (which I make only when my husband is traveling because he would disagree that it is actually, in fact, a dinner). Have a picky eater? Or are you a picky eater? If so, you simply must check this book out! The title caught my eye in the window of a bookstore. I’m notoriously picky and, unfortunately, my youngest is taking after me. I was ready to do something about it and this book came at just the right moment. 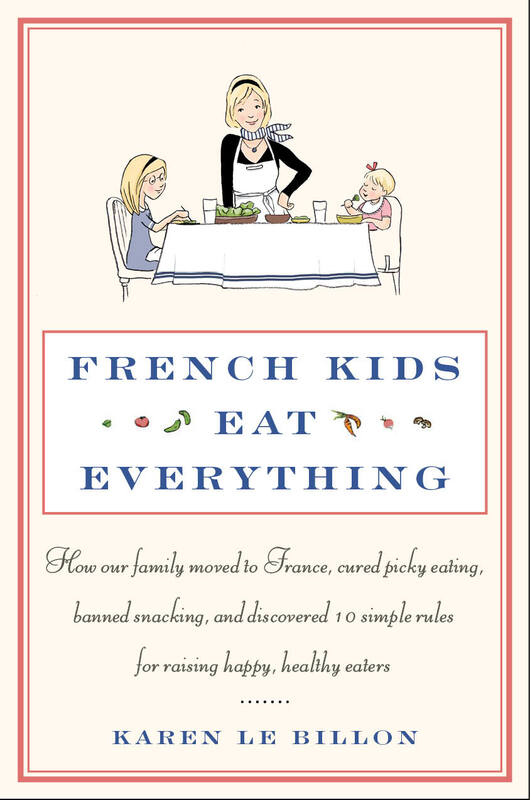 In this book, French Kids Eat Everything, the married, mother of two, recounts her experience of living in France for a year. She has come up with ten food “rules” and goes into great detail about how she formulated them, as well as her experiences, challenges, and successes. I happened to be smack in the middle of this book when we took a trip to St. Barth’s. Primarily a french island, I had tons of opportunities to put into practice what I was reading all about. “You don’t have to like it but you do have to taste it,” applied to all of us (I tried tuna tataki, lobster risotto, and even foie gras!). Will I be ordering any of these any time soon? Probably not, but I set a great example and my little one ended up devouring fried shrimp. I said no to quite a few snacks and look forward to implementing le goûter (a scheduled, afternoon snack) once the school year starts. 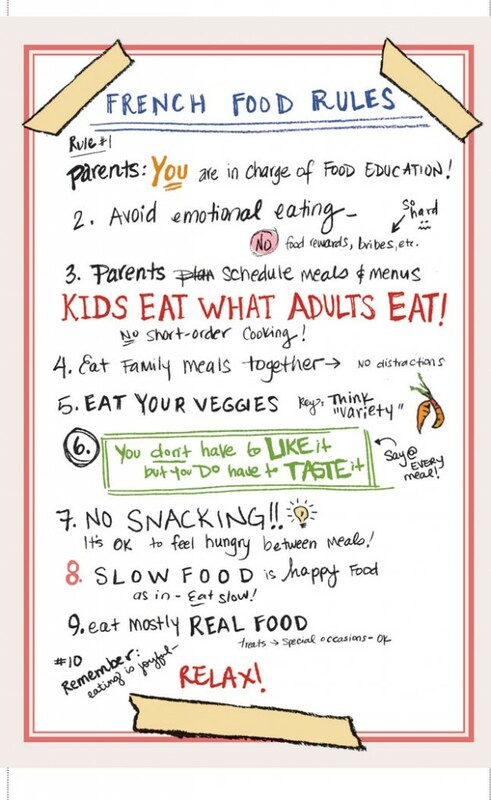 Most of the rules are common sense when you stop to think about it, but the problem is, we often don’t stop and think about our eating habits and the habits our children are forming. I know snacking isn’t good for my daughter’s dinner appetite but I didn’t connect the dots that it may be the reason she’s not open to trying new things. And I certainly didn’t realize how many times she needed to taste something before she accepted it! This book definitely opened my mind on how I eat and how I feed my family. If you happen to live in NYC or the surrounding areas, you really have no excuse. Going to see a play, either a Broadway show or off-Broadway production, should be a fairly regular part of your life. A night spent getting lost in a story, in awe of the amazing singing and dancing, and laughing out loud or even shedding a tear, is sometimes exactly what’s needed to forget about the everyday stress that’s plaguing you. Not to mention you will feel cultured and have something more to add to conversations other than the happenings of today’s reality show television nightmare. Over the last few months, I have seen two off-Broadway shows and one major ticket, The Book of Mormon. Concerning the latter, believe the hype! This show is laugh-out-loud funny and shockingly inappropriate but what else would you expect from Trey Parker and Matt Stone, creators of South Park? It is a religious sattire musical so if you’re easily offended, this is not the show for you. 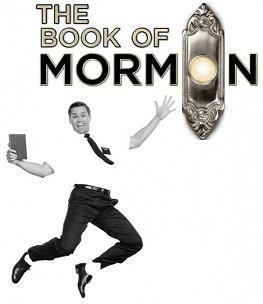 Personally, I thought it was creative and extremely entertaining (I loved the spooky Mormon hell dream!) and thought the overall message was poignant. I was also lucky enough to check out All New People, Zach Braff’s first play, on opening night. This off- broadway show focuses on one man’s desire to commit suicide and the random people who are called into his life on that fateful night. It wasn’t the greatest show I’ve ever seen but nevertheless it was entertaining and I thought the overall message (yes, I’m big on messages) concerning happiness was worth hearing. So if you’re stuck in the dinner and a movie rut, put a play on your calendar. As an added bonus, you can feel good about supporting the Arts. 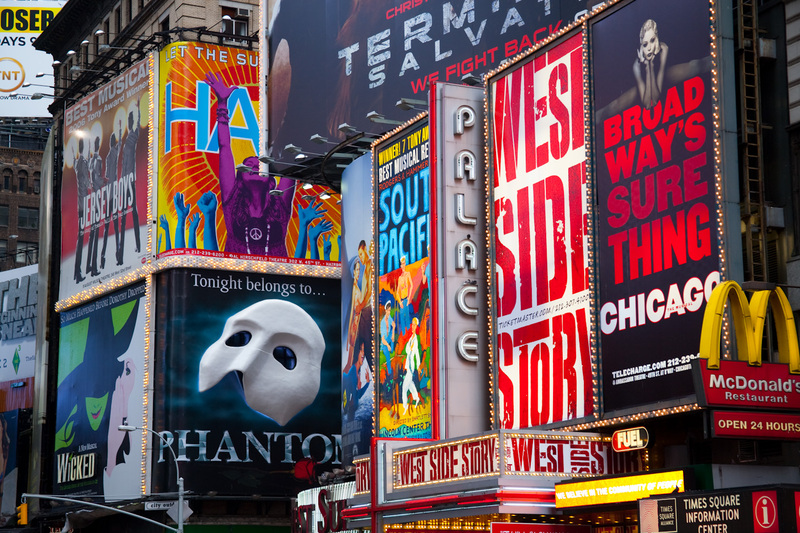 Currently running Broadway shows and off-Broadway productions can be found on the following links. If you’re not in the NYC area, check your local theatres for great shows in your own backyard. P.S~ Next up on my list is the off-Broadway play, Love, Loss and What I Wore. If any of my NY friends are interested, let me know!